Yesterday the New York Sunday Times ran a fascinating piece on the manufacturing of iPhones. The making of 200 million phones is taking place in the far east, mostly in China. When President Obama asked Steve Jobs “why can’t that work come home?” Jobs replied: “Those jobs aren’t coming back.” The article, written by Charles Duhigg and Keith Bradsher, describes the reasons why this work will never come back home (and why we wouldn’t want them anyway). In the months prior to the release of the iPhone, Steve Jobs carried a prototype in his pocket. He discovered that the plastic screen was easily scratched by the keys and loose change that people often have in their pockets. He informed his engineers that this was not acceptable and insisted – at the last minute – that they redesign the phone with a scratch- and break-resistant glass. Corning Glass was able to do this. Corning (made in America!) shipped the new parts to China, where they arrived around midnight. Supervisors at the assembly plant woke up some 8,000 workers sleeping in company dorms, gave them tea and a biscuit and set them to work in 12 hour shifts installing the glass into bevelled frames. The plant churned out 10,000 phones per day. It is impossible to envision an American workforce positioned to perform this kind of work under these conditions. We do not house our workers in dorms (except migrant farm workers). We do not suddenly change work schedules to begin at midnight. Even in the Republican dream of a post-union workforce, it is inconceivable that American workers would accept this kind of pressure – and be paid $17 per day or less. 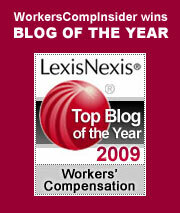 Nearly seven years ago we blogged the emerging issue of worker rights in China. While there is a bare-bones structure of rights, these are arbitrarily enforced and easily avoided. China is a single party state, run with ruthless efficiency by the Communist Party. Opposition is not tolerated; dissent is brutally suppressed; and workers are at the mercy of their employers. To enforce rights, you need a constitution and an infrastructure of laws and regulations. And you need lawyers to argue on behalf of workers. China has none of these crucial elements and, truth be told, no real interest in developing them. And that is why everything is made in China: quality is high, working conditions are whatever management wants them to be, and labor costs are low. While technically not slaves, production workers in China labor under appalling conditions that do not and cannot exist in most western cultures. They may be paid better than the slaves who built the pyramids, but they are paid less – while working harder – than any comparable workforce in developed countries. So the late Steve Jobs was correct: the jobs involved in assembling essential electronic devices will remain off shore. These jobs are never coming home, unless, of course, the economy collapses totally and our workers are reduced to accepting virtually any working conditions. Which leads to questions beyond the scope of a workers comp blog: what manufacturing jobs will remain domestic? What will happen to the millions of production workers in America who no longer have jobs? As the American middle class declines, how will the economy function? Who will buy the goods that drive the engine of capitalism? I drove my American assembled Japanese car to the Verizon store yesterday and picked up my black 16 gig iPhone, designed by indisputable geniuses in America and assembled by an underclass in China. It’s awesome. I can’t imagine life without it.